If you dream of a hunter's life with rare and unique animals, if you are looking for adrenaline and dangerous situations, if you are an adventurer, and not sure what to do, feel free to go to Pandora’s extreme safari with the famous hunter Sir Hammerlock! 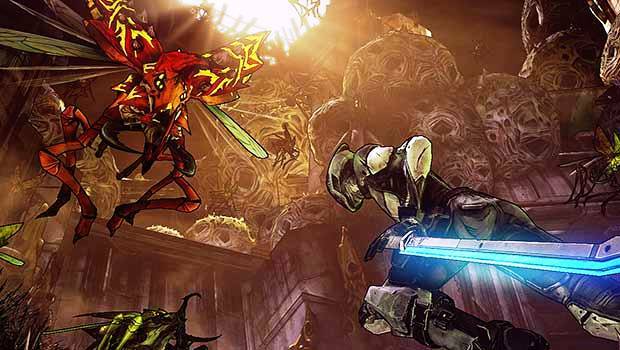 The third Borderlands 2 addition you will have a wide range of jobs, and hanging out. First, you can search the most dangerous animals of Pandora trophies for Sir Hammerlock. Second, go to the Scage nest and find a Mosin rocket launcher,and don’t think about the numerous shots at enemies. Thirdly, there will be a unique pavilion on the map, where you can fight with enemies crowds that will attack in waves, and receive bonuses according to the time spent at the arena. And finally, will be a unique race of telepaths and magicians, worshipful Handsome Jack, a local villain. Borderlands 2 Sir Hammerlock's Big Game Hunt will be available for download on January 15 next year, for 9.99$.